We are in the era of the image, in which everything is conveyed and valorised by the visual representation of a story or a product … The images remain more imprinted in our memory and also stimulate our imagination and desire. The images surround us and try to win our attention, playing on visual stimuli that attract us or intrigue us. 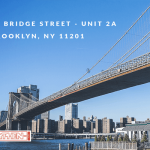 Even companies are no exception and today more than ever they need quality photographs to be used for their omni-channel communication, promotion and sales strategies. Therefore, governing the shooting process has become one of the factors determining the business performance of organisations. However, often the ability to produce images of 100% of its catalog of products photographed in high quality and suitable for the individual media or channel, both for B2C and B2B markets, seems almost an unrealisable dream! Tight deadlines, product logistics, production costs, format variability and number of distribution channels are complex elements to be managed effectively. Where traditional shooting processes are not able to meet the new omni-channel needs, HSL HILP SA is the solution that allows you to satisfy your desire for style and image quality without sacrificing the need for high efficiency in terms of productivity, costs and time-to-market. You got it right: it’s been just over a year since we introduced HILP for the first time and it’s already time to talk about the new SA version, completely renewed. HSL HILP SA is the result of over 13 years of research and development of automated photo sets. The seamless search for the best materials and the know-how gained in technology and workflow allowed us to create a highly innovative system. 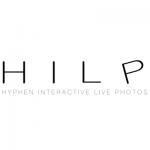 HILP SA is the Photo Digital Studio that enables you to take product photos in an industrialised manner and in complete autonomy, saving time and money, without sacrificing the quality of a professional image! It combines an innovative calibrated lighting system certified for professional photographic uses and a management console. 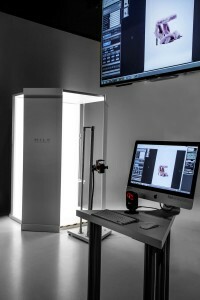 The workstation has been designed to allow the use of the set even to people without specific skills in product photography thanks to the provision of a series of functionalities and integrated workflows that facilitate its use, also allowing a high return in automatic post-production of images. Automatic bleaching, centring and adaptation flows in real time make product photos immediately available to be used on any media or channel. Just a click and you can immediately use your product images, for a fast and quality communication that leaves its mark. Innovative formats to make the experience with your product unique. HILP SA takes to its maximum expression the effort of HSL to make the efficiency of the process coexist with creativity and image quality. A session of only a few seconds is enough to allow the HILP SA system to generate not only static images but also innovative interactive formats with very high performance in terms of communication and positioning on search engines and subsequent monitoring. With a single set you can create product photos and its animated representations viewable through interactive 360 ° viewer, stop motion or HILP. This allows you to maintain complete chromatic and visual consistency for all formats that will populate your digital communication and sales platforms, increasing the perception of quality and reliability of the product and the Brand and generating less hesitation during the purchase process. Through images and product representation, we do not want to stimulate just the desire in your customers, but also help you communicate information. This is why the viewer allows the user to interact freely with the product by deciding which frame to watch and allowing a zoom on each individual detail, always maintaining a high definition of the image. 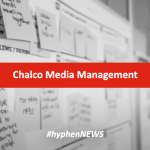 HILP html5 players can be easily integrated into any CMS and represent an extraordinary tool for visual communication as well as an original feature of your website or e-commerce platforms, keeping the promise to simplify the management of your shooting process and decrease costs. Take your visual communication to another level, contact us to watch a demo!